Pyeongchang: Shut out in Sochi, the German bobsled program swept every other nation away in Pyeongchang. Francesco Friedrich drove to the four-man bobsledding gold medal Sunday, capping an absolutely dominant showing by the Germans on the sliding track at the Pyeongchang Olympics. Friedrich and his team of Candy Bauer, Martin Grothkopp and Thorsten Margis left no doubt, finishing their four runs in 3 minutes, 15.85 seconds to win by more than a half-second. 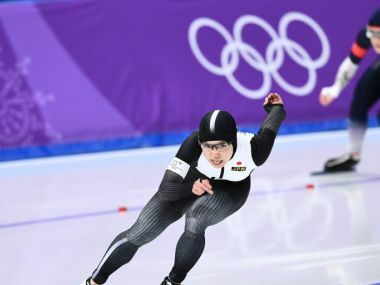 The Korean sled driven by Won Yunjong and the German sled driven by Nico Walther shared the silver, the second sliding medal tie in these games after they finished in 3:16.38. 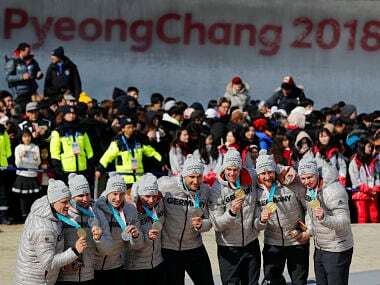 The Germans came to Pyeongchang set to prove that what happened in Sochi was merely an aberration, and delivered. The Sochi Games were the first in 50 years where Germany didn't win a single medal in bobsledding, and what they did in Pyeongchang more than made up for that series of disappointments from 2014. 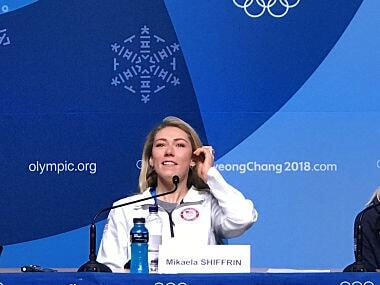 "It was so frustrating in Sochi," Friedrich said. "Winning a medal was our big target and making sure we didn't make the same mistakes. We did it." Codie Bascue and his team of Evan Weinstock, Steve Langton and Sam McGuffie led the US with a ninth-place finish. Friedrich has a 21-race winless drought in four-man World Cup starts, but when the stakes are highest he seems to find a way. He has five gold medals from two- and four-man races at the world championships, drove to the world four-man title last season, and added this Olympic gold to the one in two-man that he shared with Canada's Justin Kripps. "Once you get ahead, it's easier to stay ahead," said US pilot Justin Olsen, who finished 20th. "Look at what Friedrich did. He got the lead in the first heat and he kept on going. This is not like the speedskating mass start where you get a lap ahead and get chased down. You get a lap ahead here, you stay a lap ahead." Friedrich becomes the fifth German pilot to sweep two-man and four-man golds in the same Olympics, joining Andreas Ostler in 1952, Meinhard Nehmer in 1976, Wolfgang Hoppe in 1984 and Andre Lange in 2006. And push athlete Kevin Kuske, who was in his last race, won his sixth medal in five Olympic appearances. He's now the fourth bobsledder with six Olympic medals, after helping Walther win silver. "He has four Olympic gold medals and he decided after the disappointment of Sochi that he would do four more years," Walther said. "We wanted to win a medal for him." Olympic medals are the norm for the Germans. That's not the case for the Koreans — who went wild when Won delivered his nation its first bobsled medal. "I couldn't believe it," Won said. "It was only in my imagination. I was so happy with the results. We did a lot of preparations and tests over the season, and the preparation was very thorough. That led to good results in the end." Won and Walther celebrated with each other afterwards as well. "Normally I don't like to share anything but the Koreans were too good," Walther said. "They did four great runs and it's nice to share. They are so strong. It's really ok to share this time." In Pyeongchang, not only did Germany win gold in all three bobsled events — matching its feat from Turin 2006 — but also became the first country to win six sliding gold medals at a single Olympics. The rest of the bobsled, skeleton and luge world won four golds in Pyeongchang combined; Canada, Austria, South Korea and Britain all got one. The overall medal standings in sliding were just as big of a runaway. Germany won 11 medals at the Alpensia Sliding Center; Canada won the second-most, with four. "I am so proud of the whole German team," Friedrich said.